Capturing the world of small requires a macro port, which can reveal amazing colors and behaviors of tiny underwater critters. Macro imaging starts at subjects about 1.5 in / 38 mm and smaller. Gates offers a Flat Port for use with diopters to expose diminutive reef dwellers. Flat Port: these ports contain a single, flat, uncorrected element. The field of view becomes narrowed underwater, subject to the same refraction as a diver looking through a facemask. A Flat Port allows full camera zoom capability, and diopters may be used to increase the magnification of a macro subject. +1, +2 and +4 are commonly used, and available from Gates as an accessory kit. A Flat Port contains a single optical acrylic element that is forgiving to minor bumps and handling, and it is field replaceable. Inexpensive, a macro option for those on a budget. Resilient optical acrylic element for easy field replacement. 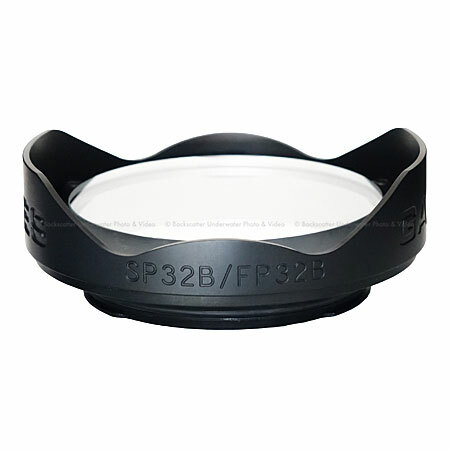 Accommodates diopters and stacked diopters for magnification.